Deadline brings word that actors J.K. Simmons and Michael Keaton have both dropped out of Legendary Pictures and Universal’s Kong: Skull Island due to scheduling conflicts. Production on the film was set to begin this fall but was recently delayed a few weeks, resulting in the conflict. Legendary is currently seeking to replace the two actors in the film, which still has the god of mischief himself, Tom Hiddleston, attached to star. 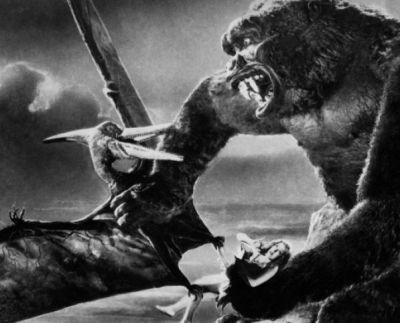 Earlier this year, Simmons revealed a surprise setting for the film, saying it would take place in Detroit in 1971; however, given the title of the movie, it’s a safe bet that the jungles of King Kong’s homeland will be the primary setting. Set for release on March 10, 2017, Kong: Skull Island aims to fully immerse audiences in the mysterious and dangerous home of the king of the apes as a team of explorers ventures deep inside the treacherous, primordial island. Legendary’s story honors the foundations of existing King Kong lore, but places it in an entirely new, distinct timeline. The Kings of Summer‘s Jordan Vogt-Roberts will direct the film from a script by John Gatins and Max Borenstein. Thomas Tull (Godzilla, The Dark Knight, Pacific Rim) and Jon Jashni (Godzilla, Warcraft) will produce and Alex Garcia (Godzilla) will executive produce. The film will be released in 3D and IMAX 3D by Universal Pictures.